This week we read two books, Goodnight Gorilla and a terrifying Shark book. 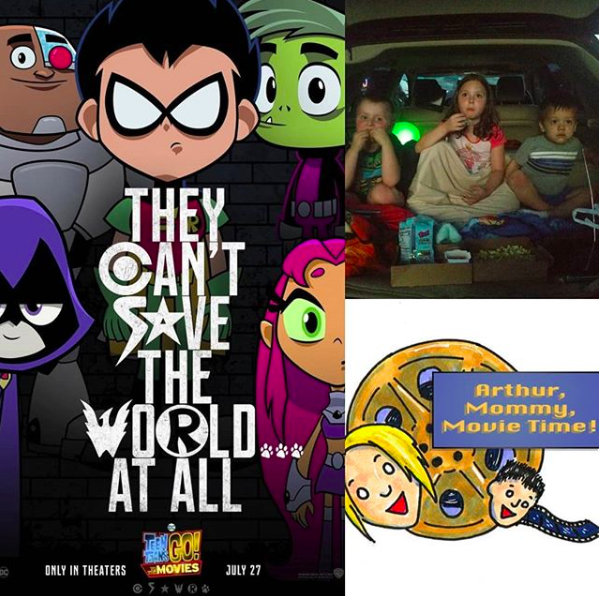 Oh and we go to the drive-in with family to see Teen Titans. It was a lot of fun, a strange little movie. really want to express my gratitude to you.I want to send a thank to you. The articles brings some advice. I usually read them. Cheers for sharing with us your wonderful blog.I have received a bunch of information.My curiosity to learn more and more on this blog.